HomeDivorceCan you really find happiness in sadness? Many of you know that this past few weeks my life was turned upside down when my youngest brother took his own life. This has been the most challenging thing I have had to understand in my life and more difficult has been the impact on my family, particularly my parents. Grief is something I deal with every day in my job and while I know and understand the theory it is a different thing when you are living it. Then add the small challenge of having called yourself ‘The Happy Family Lawyer’- the irony at the moment is not lost on me. 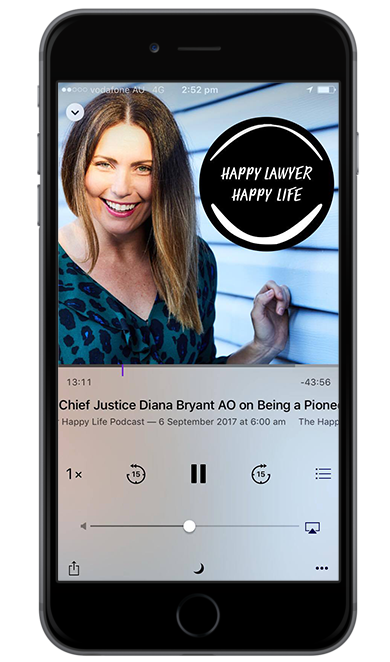 There is immense sadness, pain and unfixable hurt in my life at the moment and somewhere in amongst all of this I am having conversations with colleagues and friends about happiness because of course I am ‘The Happy Family Lawyer’. I am struggling at present with this idea of being ‘happy’ when in fact I am so very sad- things are up and down and then down again. I am often saying in my work that the grief suffered on the breakdown of a significant relationship is second only to the grief we experience upon the death of a loved one. This week I found myself saying that to a new client only to find myself quickly transported to a very difficult place with my stomach churning and holding back tears. Death is one of the few certainties in life but death of a young person is very hard to accept whatever the circumstances. Perhaps the biggest struggle is the sense of ‘if only’- if only we had known more, if only you could turn back time, if only things were different. But of course they are not. Grief of course hits us all in different ways at different times. You can be going along swimmingly and then all of a sudden you hear or see something and you feel your stomach churn, your heart race and your mind flies off on a million tangents- well that is my experience anyway. This past few weeks I have wished for the world to stop for just a few moments- but it doesn’t. Work still flows, people around you go on with their lives and all the time I find myself wanting to silently scream ‘just stop’ for a moment please and let me understand this. The idea of finding happiness in these moments of deep sadness seemed ridiculous to me at first and I have been questioning the advice I happily hand out each day in my job- “one day at a time I say, it will be ok, look for the positives”. But despite trying to follow my own advice there is a sense of carrying a big weight everywhere you go- keeping busy helps but it doesn’t take long before your mind wanders back to those sad thoughts. I am writing this piece I think in part to put a line in the sand- to share where I am at and to remind myself at the same time it is ok to pause, to grieve and to rethink my own life journey. Losing a loved one is a great leveller- it puts so much into perspective so fast. It has made me think carefully about my own life- how I am spending my time and whether that is still the right way forward for me. I don’t yet have all the answers but either way taking the time to consider our own life choices can never be a bad thing. Writing usually brings me great joy but these past few weeks I have felt so empty as I sit to write stories on happiness, love or heartbreak, I simply have not been able to put the words together. But the thing is, even when things feel so very sad, there have been moments of joy. Being with my family, particularly my parents has made all the difference but the reality is that things are hard- I am deeply sad and only time will make a difference. So what does help? What can you do in these moments when sadness has taken over and only time can heal? For me focusing on each moment for what it is- allowing myself to feel sad, to sit with my thoughts, to ask questions even when they cannot be answered is making all the difference. This past few weeks I have received an overwhelming outpouring of support from people I know well but what has really taken me by surprise has been the many kind thoughts and words from so many of you that I have never met. I can only say ‘Thank You’ which seems so small in comparison to the warmth and kindness I have received. Suicide has touched so many of us and is so difficult to understand. I have much more learning and thinking to do but I have been reminded of the need to remember that life is short we need to live every moment to the full and look after those closest to us as much as we ever can. So as I write these words I am feeling comforted by being honest. I am sure I will be back to writing, talking and feeling happiness in time but in the short term I am taking my own advice in the hope that it works and focusing on just taking each day as it comes. If you or someone you know is in need of help or support then please call Life Line on 13 11 14.